The highly anticipated Super Bowl LIII will take place on Sunday, February 3rd at the Mercedes-Benz Stadium in Atlanta Georgia. 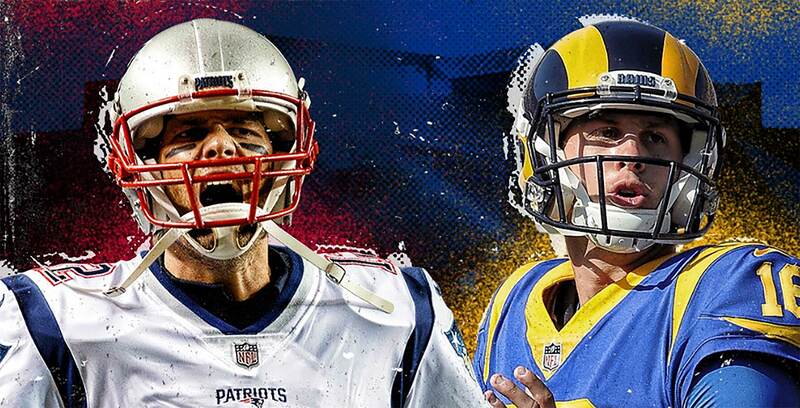 There, AFC champion New England Patriots will face off against NFC champion Los Angeles Rams in a rematch of 2002’s Super Bowl XXXVI where the former team won 20–17. The long-awaited game, which will begin at 3pm PT/6pm ET, can be watched through a number of different channels in Canada. To start, Bell continues to hold exclusive Canadian broadcasting rights to the Super Bowl. As a result, the telecom giant will air the game in a triple-simulcast on its CTV, CTV 2 and TSN (and French sister channel RDS) networks. Additionally, the Super Bowl will be live streamed on CTV.ca and the CTV Go and TSN Go apps on Android, iOS, Windows and Xbox One. Across all of these platforms, Bell will play Canadian ads from the likes of Subway Canada, SkipTheDishes, L’Oreal and Pepsi. The latter of which features Michael Bublé and is the beverage company’s first Super Bowl ad. However, one of the biggest draws of the Super Bowl is the big-budget, star-studded ads that only play on American broadcasts. While you can watch any pre-released American ads online at Bell’s BigGameAds.ca, the full line-up of commercials as they air will only be available on American networks. If you don’t want to miss those, you’ll be able to tune into an American channel and see these ads play instead of the Canadian-specific ones. That’s because the Canadian Radio-television and Telecommunications Commission (CRTC) has since August 2017 banned simultaneous substitution — the process of replacing foreign signals with local or regional signals — in Super Bowl games, much to Bell’s chagrin. Therefore, if you watch the Super Bowl on American networks CBS, Fox or NBC, you’ll be able to see the popular American ads live. As well, DAZN Canada will stream the Super Bowl (as well as any other NFL games) through its NFL Game Pass service. A one-month trial is available, after which Game Pass will cost $20 CAD/month or $150/year. Finally, Cineplex is hosting Super Bowl streams in various VIP theatres across Canada. The VIP theatres feature more premium seats and offer a full meal and alcohol menu. Tickets are $10 and you’ll also receive a $5 concession voucher with your purchase. Who are you rooting for in the big game? Let us know in the comments.